2000 eggs, 60 special baskets, over 260 kids!! This year's SODA Easter Egg Hunt took place on March 24th at Penn-Vassar Park. The weather was cool and breezy; but dry ground, the sun shining, and blue sky over head made for a great day in the park! Neighbors starting arriving early around 11:20 am. Kids were able to play games and win candy prizes before the hunt began. At 12:05 pm SODA President Tim Harrison lead the crowd in a Homecomingesk count down starting from 10. At shout of "GO!" 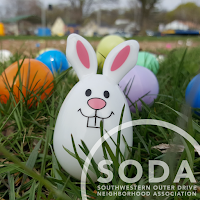 over 260 kids stormed the park looking for that special egg that might get them one of 60 special baskets to pick from. 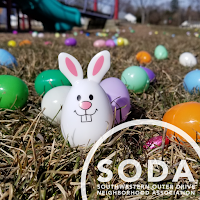 The 2000 plastic eggs spread out in three age grouped areas also contained candy or tickets for free ice cream from Lolly By Golly Sweet Shoppe. Within a minutes all the eggs were collected! Even after the hunt was concluded and volunteers were done cleaning up, many neighbors remained in the park, played on the playground, and enjoyed the beautiful day in the park. Special thank yous to Sarah Ford for organizing the hunt, to Woodside for the games & prize boxes, and to all the people and businesses that donated candy and items! 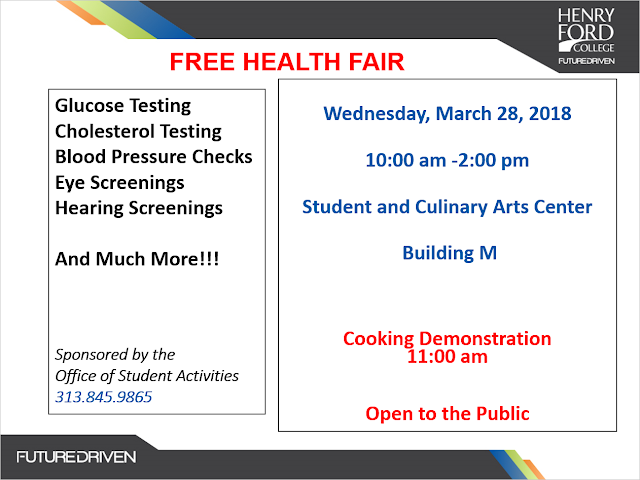 Glucose Testing, Cholesterol Testing, Blood Pressure Checks, Eye Screenings, Hearing Screenings, And Much More!!! All Dearborn neighbors are welcome! Bring your baskets or a bag to carry your found eggs. Find a "Special" Egg and win an Easter Basket. Each egg will have a small prize or edible treat inside. The hunt will be divided into age groups. Ages 0-12. Be on time! Hunt will start promptly at 12:05 pm. Come early and play some games before the egg hunt. The Easter Egg Hunt committee is currently accepting donations. Candy, prizes, etc. Donations can be dropped off at either the February 8th or March 8th SODA meetings, or contact committee chair Sarah Ford. The permit application is for a proposed installation and operation of a new combined heat and power (CHP) plant. The new DTE CHP plant is proposed to be located at 1641 Carol Shelby Way East, Dearborn, MI. The location is within the existing Ford Motor Company’s R&E campus. Ford is planning on shutting down some of the existing 5 boilers; however, to do so, they need steam to be provided from somewhere else. The new DTE plant would provide this steam. It will also produce electricity which will be sold to the grid. While Ford requires a certain steam load from DTE and is providing them with a location for the plant, DTE will be responsible for compliance with any permits they must acquire. 3) give any information about the larger natural gas expansion statewide. March 27th 5:30 pm - ? 2) 7:00 pm - ? Public hearing to take formal testimony on the record. The public comment period is from February 14, 2018 until March 27, 2018. The public is encouraged to present written views on the proposed permit action. Come found out what the Healthy Dearborn coalition has been up to. There have been some great achievements, like the Healthy Restaurants program launched this week, and many more. Healthy Dearborn is a coalition between Beaumont Health, the City of Dearborn, Dearborn Public Schools and other organizations. 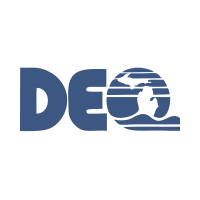 Healthy Dearborn promotes healthy eating and active lifestyles for Dearborn residents while working to build a culture of health where everyone enjoys equal access to healthy foods, health care, green space and opportunities for safe, active living. To run for a board position you must be a Regular SODA Member and current with your annual dues payment. - Member Raffle for any paid regular members in attendance. - Attendance Raffle for ANYONE in attendance.